I spent about two hours yesterday having a come to Jesus meeting with myself. I knew darn well the reason I was losing was me and not the market. I was trading out of boredom, trying to make something happen. I was trading from a position of arrogance and not humility. All recipes for disaster. I determined to be proactive today in how I approached the market. The come to Jesus meeting basically told me there was opportunity these last few days I was just refusing to do what was necessary to capitalize on the opportunity presented. So today, I did the work, I knew where I needed to do business, I dialed into a one minute time frame to find my entry and the larger time frame for my exit. I also went break even as soon as I was able to get an add on to the position. That break even was missed by one tick.....sometimes being lucky is better than skill!! Targets were down around .04 and .92. 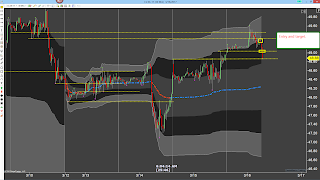 I ended up getting out a tick or two in front of those levels and with 5 ticks of risk on the first position and zero risk on the second, 6.6RR was the net result. One and done for the day. EDIT: I even bought a "trading system" yesterday I was so frustrated. 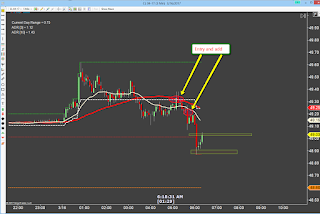 Once I go it loaded on my charts and compared its entry method with mine, I realized I had something simpler and cleaner already and so I only had it on the chart for about 15 minutes. I did put it on this morning to compare with what I was doing in real time but that lasted about 5 minutes. The one thing I did like about it was the use of renko bars that take time out of the equation. I might consider something like that in the future but for now, back to what I know best. EDIT 2: Decided to take one last shot, risked 5 ticks again based on the one minute time frame, exited same place as before. 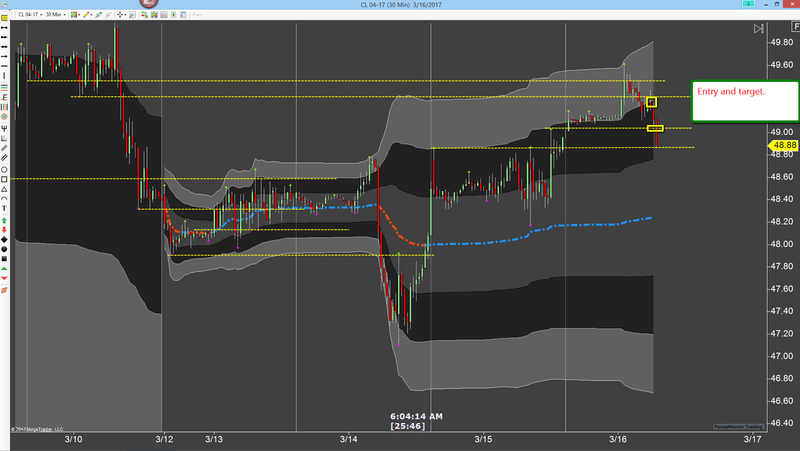 Only ten ticks of profit but that is a 2RR trade. I'd do that all day every day if that was what was needed to make money. I'm leaving some money on the table from that last trade but I took the conservative exit and that is good enough for today. Now I am done. Take a look at this: Does anyone know why this happens?